I’m featuring Habitat for Humanity in our next installment of the Gifts that Give Back campaign. If you missed our introduction post, here’s a quick recap. Do Good Buy Us works with many charitable organizations, but I’d like to highlight a few that are campaigning for their causes this holiday season. 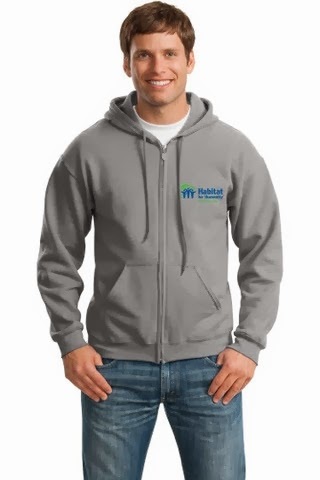 Habitat for Humanity New York City is building homes with hoodies! A successful campaign means the organization can equip a volunteer team with the power tools necessary to build an entire house. During the five years these tools will be in action, that’s a lot of homes! Enter the Rafflecopter giveaway below to get $25 toward your purchase! Good luck! *This is not a sponsored post. We received products to review free of charge. All opinions are my own. I only support products and companies that I believe in. And this is one that I STRONGLY believe in!